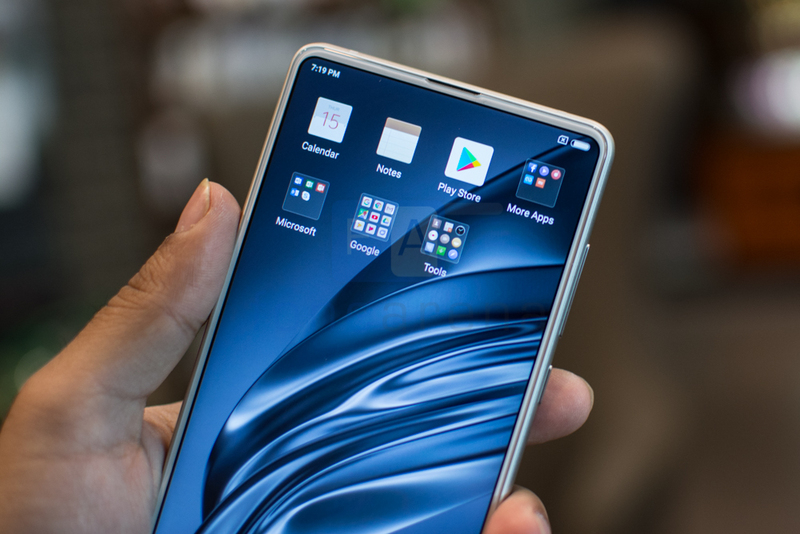 Xiaomi introduced the Mi MIX 2S, its latest flagship smartphone in the MIX series in China earlier this week. 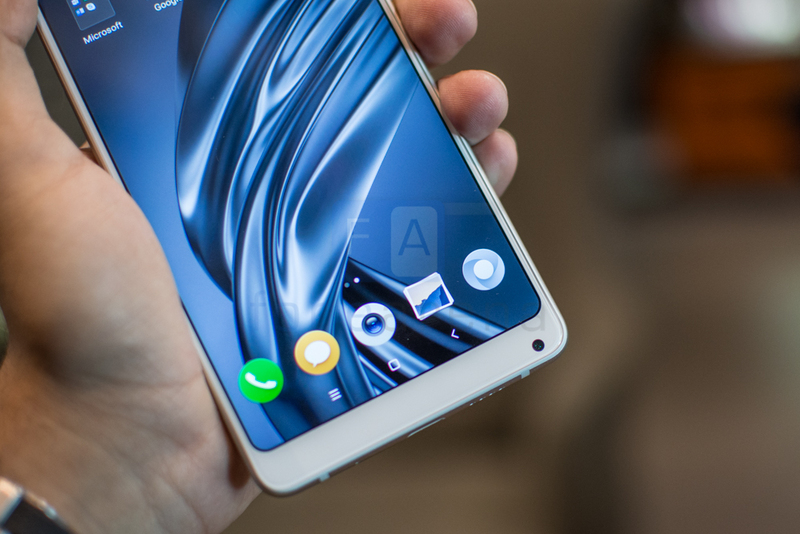 We got to check out the smartphone, here is a quick look at the phone in the form of photo gallery. The Mi MIX 2S has 5.99-inch (2160 × 1080 pixels) Full HD+ 18:9 display with DCI-P3 color gamut, same as the predecessor. 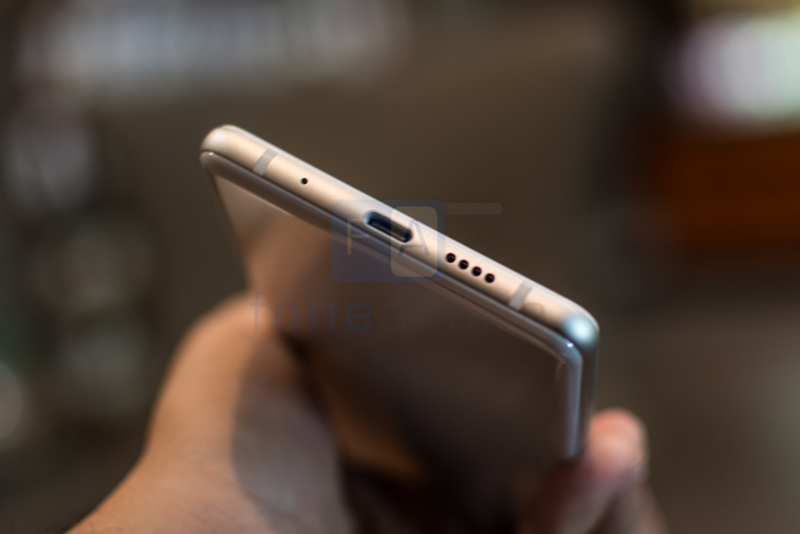 There is a small earpiece on the top along with an hidden ultrasonic proximity sensor. 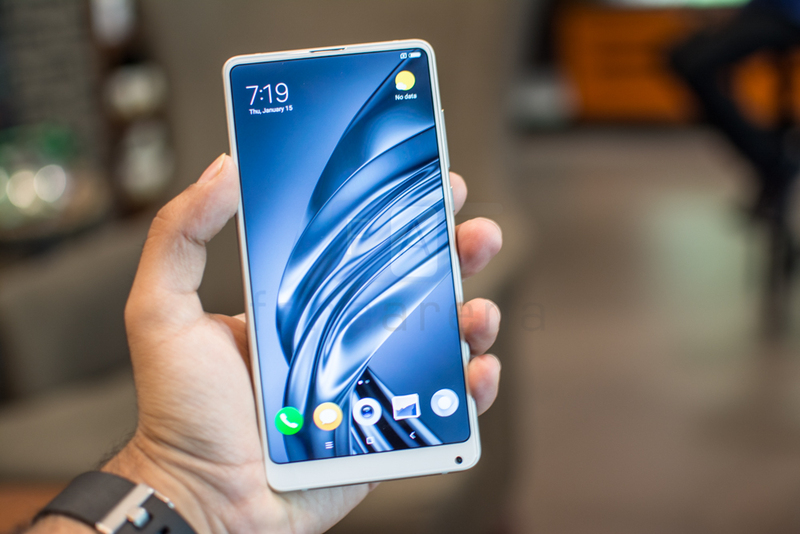 It is powered by the latest Snapdragon 845 with 6GB / 8GB RAM and runs Android 8.1 (Oreo) with MIUI 9.5. 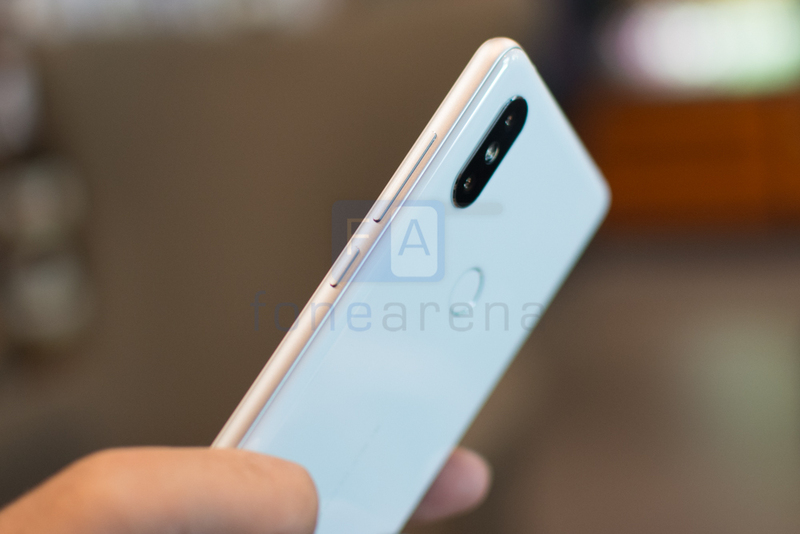 There is a 5-megapixel camera on the bottom right with support for AI portrait selfies with real-time background blur and face unlock. 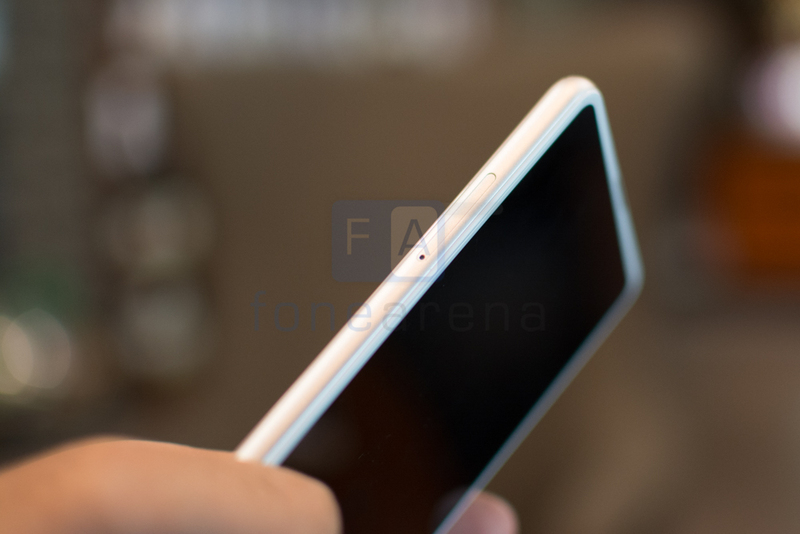 The power button and the volume rockers are present on the right side and the dual SIM slot is present on the left side. At the event the company said that it will support Dual 4G VoLTE. The primary microphone, USB Type-C port and loudspeaker grill. You can also see the antenna lines. The secondary microphone is present on the top, but the phone doesn’t have an infrared sensor. It measures 150.86×74.9x 8.1 mm and weighs 189 grams. 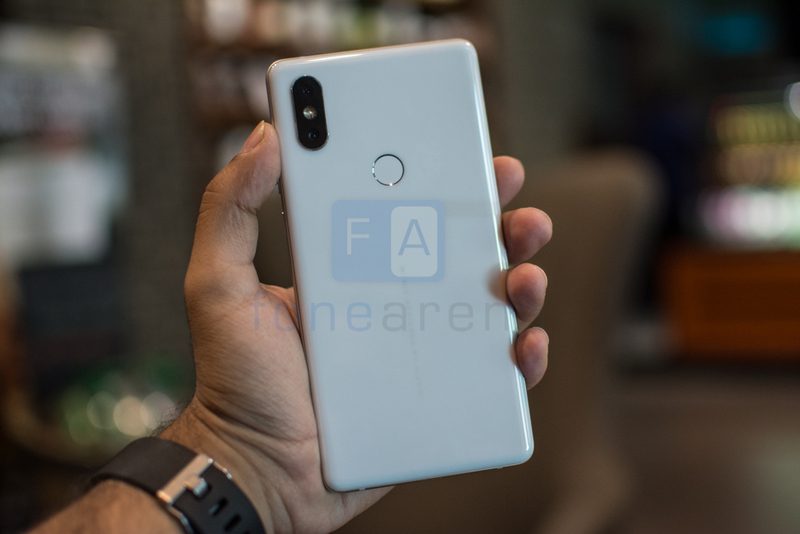 Even though the front doesn’t see any change, the back is where the Mix 2S has changed a lot. 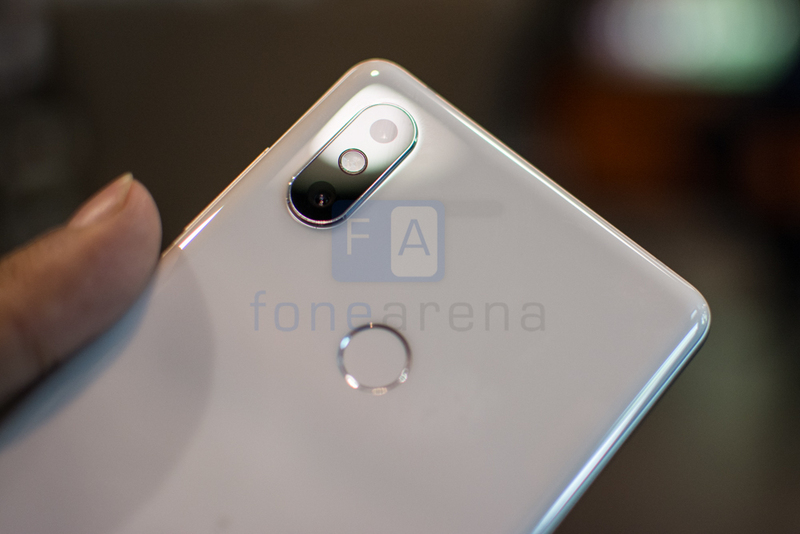 It has a 12-megapixel rear camera with with 26mm wide-angle lens, 1/2.6″ Sony IMX363 sensor, f/1.8 aperture, 1.4µm pixel size, dual-tone LED flash, 4-axis OIS, Optical zoom, 4K video recording and secondary 12MP rear camera with 46mm telephoto lens, 1/3.4″ sensor size, f/2.4 aperture, 2X zoom, AI portraits and has AI scene recognition that can detect 25 categories and 206 kinds of scenes. It has a ceramic back and the phone also comes in Black color, in addition to White. It has a fingerprint sensor below the camera. It has a 3400mAh built-in battery with Qualcomm Quick Charge 3.0 fast charging, same as the predecessor, but the company has also added 7.5W Qi wireless charging. It is priced at 3299 yuan (US$ 527 / Rs. 34,170 approx.) for the 6GB RAM with 64GB storage version, 3599 yuan (US$ 575 / Rs. 37,280 approx.) for the 128GB version and the 8GB RAM with 256GB storage version costs 3999 yuan (US$ 639 / Rs. 41,420 approx.). The phone goes on sale in China from April 3rd, but we don’t have any details about the India launch yet.